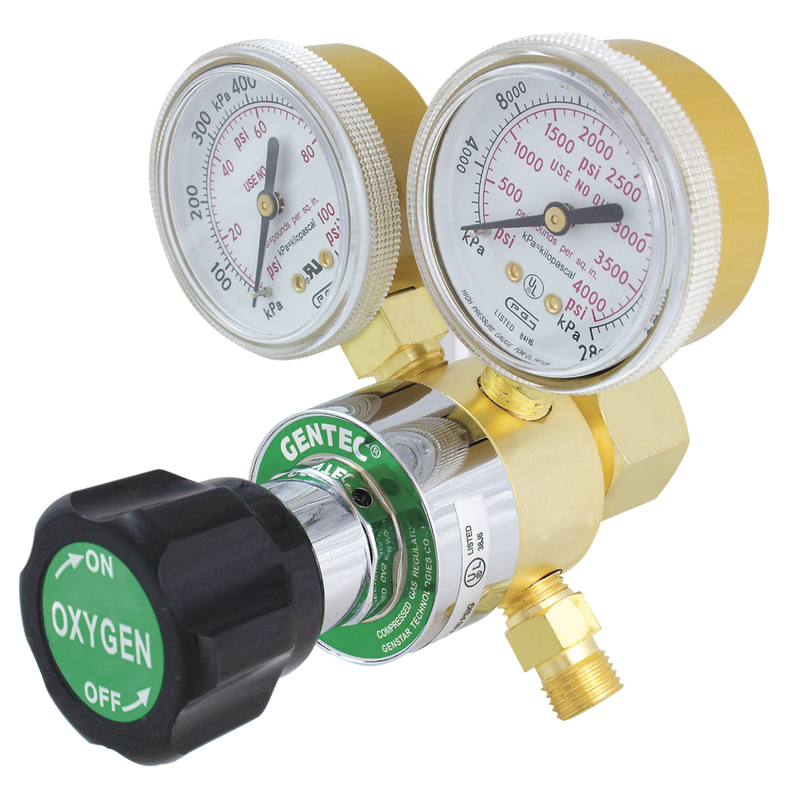 Gentec regulators are manufactured using the latest state-of-the-art equipment. With chrome plated housing caps and body machined from class “A” brass bar stock, our regulators are single stage with rear entry construction. This compact rear mounted design allows the regulators to better fit in caddy systems and keep safely out of the way. Internal safety pressure relief valve and stem type seat assembly for more reliable seating.